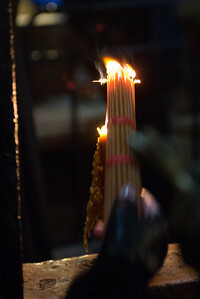 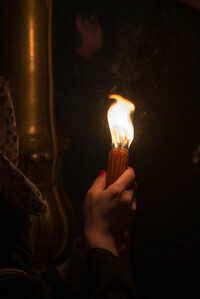 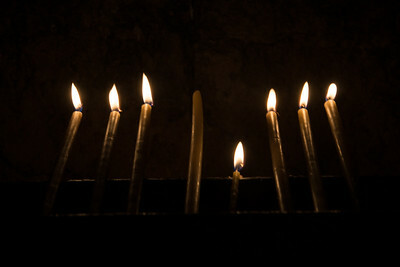 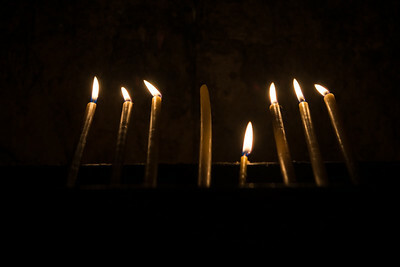 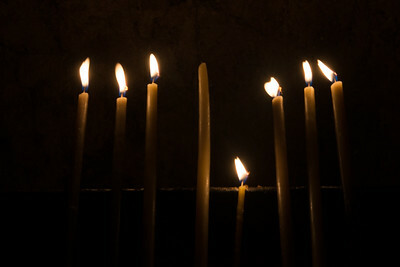 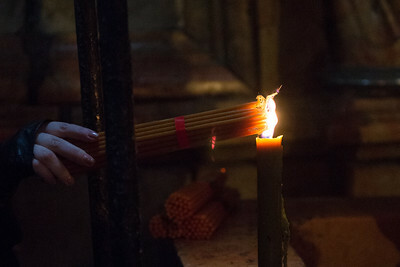 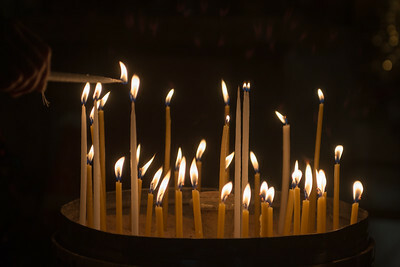 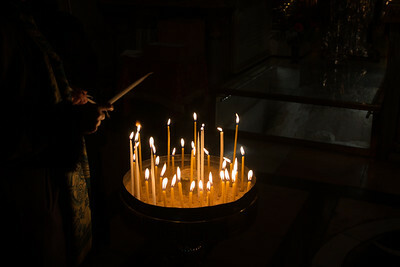 candles at the site of the crucifixion. 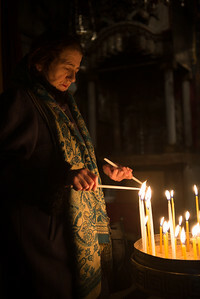 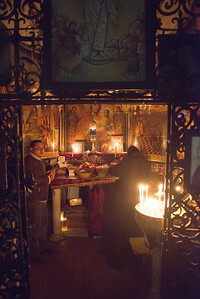 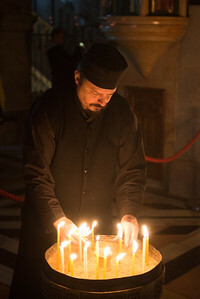 tending to the candles at the site of the crucifixion. 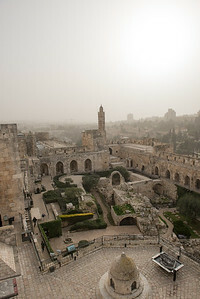 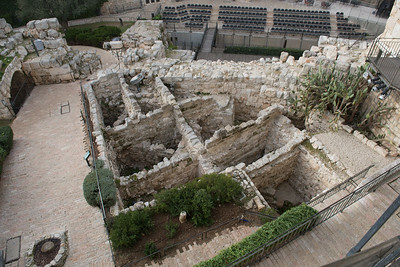 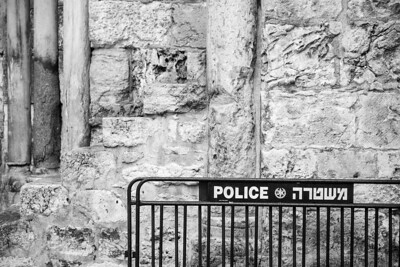 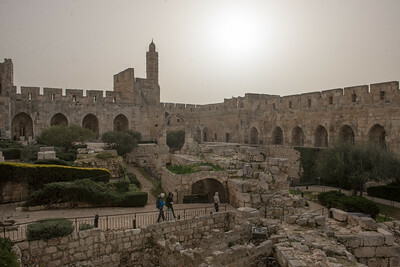 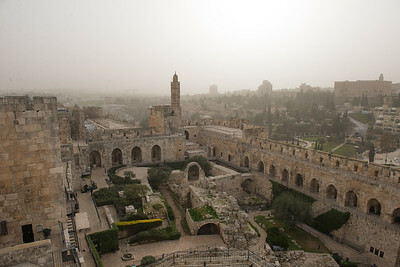 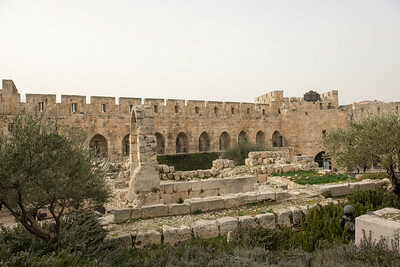 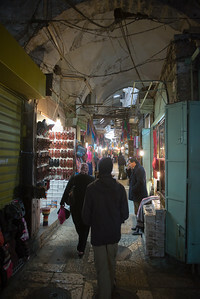 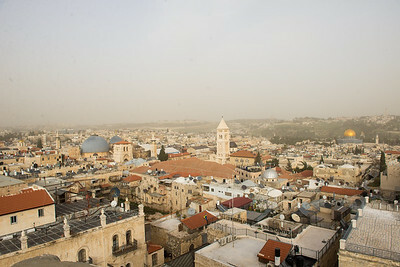 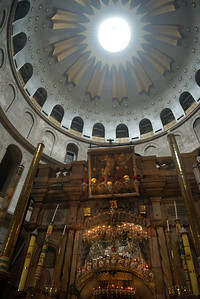 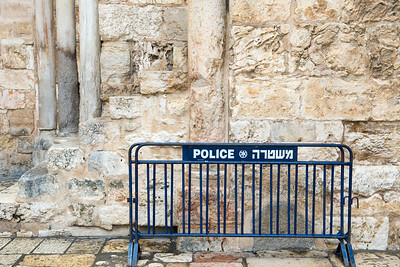 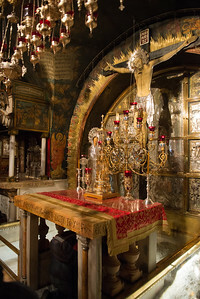 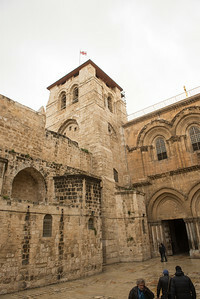 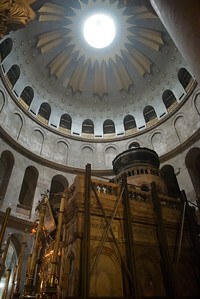 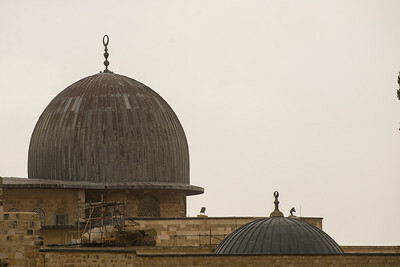 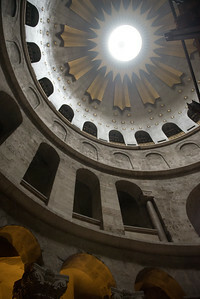 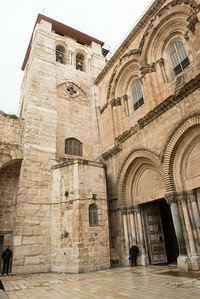 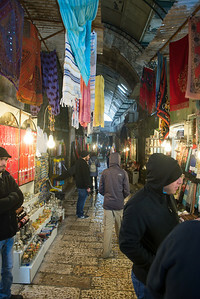 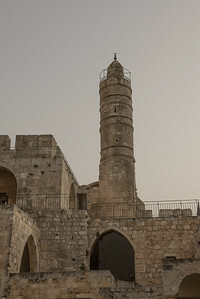 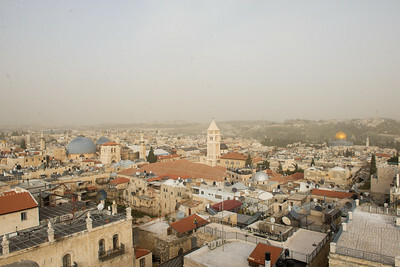 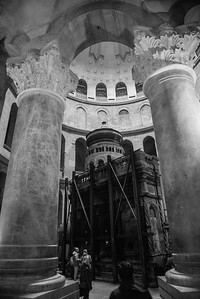 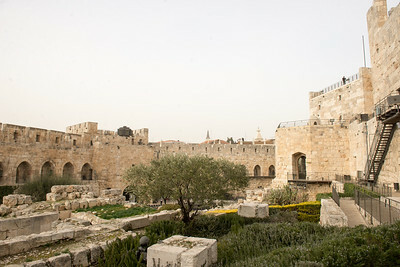 The site of Christ's crucifixion. 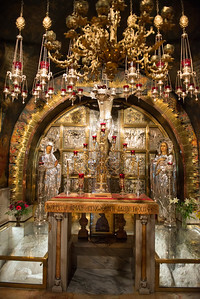 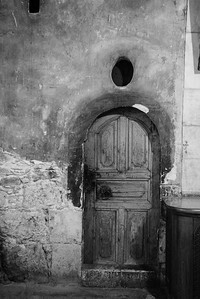 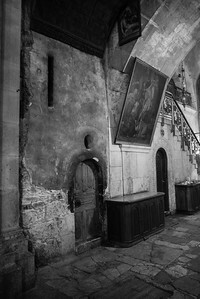 Just below the alter is said to have been the base of the cross. 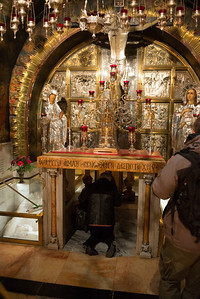 at the stone of unction - where Christ was prepared for burial. 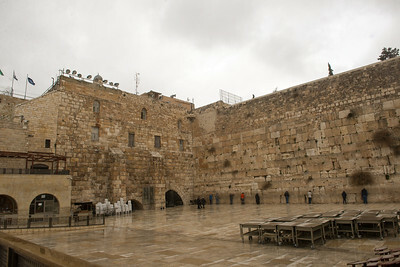 Men's and Women's sections at the Western Wall. 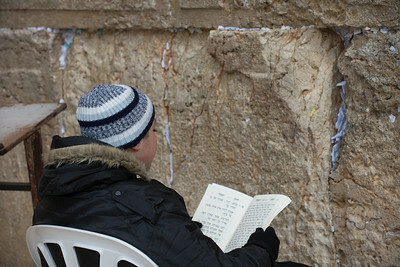 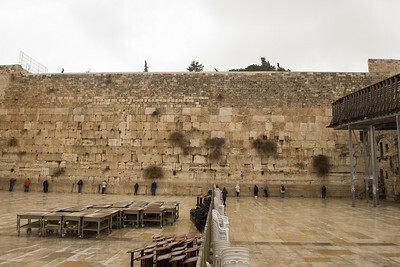 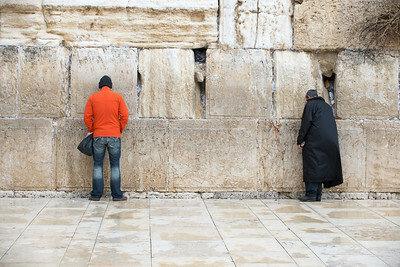 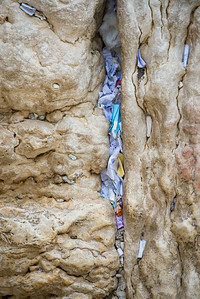 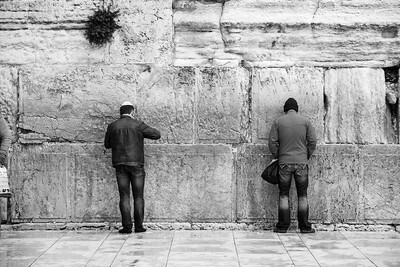 Prayers in the western wall. 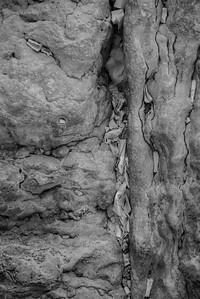 Up close you can see the writing on the paper, each telling its own story.